People living in Toronto and its many surrounding communities rely on the Toronto Transit Commission, which is the cityâ€™s main public transportation venue. Whether they use it for commuting purposes or other reasons, they expect to arrive at their destination safely. Unfortunately, this is not always the case. Although it is a rare occurrence, BLPC Law has recovered a considerable amount of compensation on behalf of clients who were injured in public transit accidents. In some cases, these public transit accidents were serious enough that our clients needed extensive medical care, and long-term rehabilitation in order to recover sufficiently, and restore their quality of life. While in some cases, the injuries have rendered them immobile or caused partial to full disability. As their legal representative, we ensured that their personal injury claim would be handled in a timely fashion. Our desire is that they experienced the best possible outcome in each of their cases. When clients suffer from serious public transit accidents, this usually creates a financial hardship for them, as well as their families, because there are a lot of out-of-pocket expenses; including ever-mounting medical expenses and lost earnings. Sometimes public transit drivers make mistakes and an accident occurs. BLPC Law has handled numerous personal injury claims because these individuals were exhausted, fatigued, or over-worked. In other cases, they simply didnâ€™t care, got lazy, or were negligent. When any of these factors are involved, TTC passengers are at risk of serious injury. From broken bones or chronic pain and suffering, to devastating, life-altering injuries such as lost limbs and traumatic brain injuries; we have seen it all. 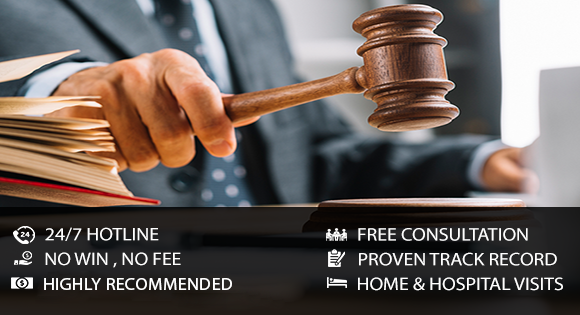 Fortunately for our clients, our personal injury lawyers have the expertise and the tenacity to ensure that they are compensated for their injuries, and can have a better quality of life afterwards. Under tort laws, we can help you get justice. Whenever individuals are involved in public transit accidents, their safety and security was in jeopardy. More importantly, innocent peopleâ€™s lives could be at stake. As we mentioned above, the results can be financially devastating for the victims of these types of accidents. If you or a loved one was a bus passenger and was injured in a crash; or was a pedestrian, and was hit by a public transit vehicle, you should contact our personal injury lawyers immediately. When you consult with one of our BLPC Law lawyers, rest assured that our primary focus will be your personal health and well-being. Your case revolves around the many important details surrounding your accident, and we will take all of the necessary steps required to document them, and support you throughout your recovery period. Contact us today.